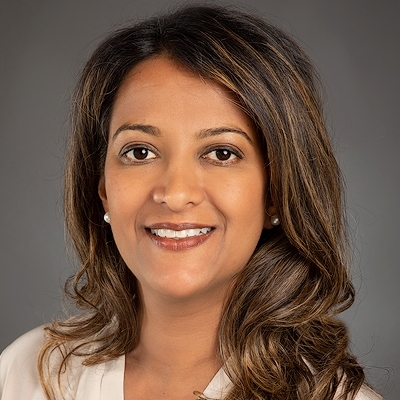 Ashwini M. Zenooz, MD is currently the SVP and GM for Healthcare and Life Sciences at Salesforce. Dr. Zenooz was most recently the Chief Medical Officer at the Department of Veterans Affairs (VA) overseeing the national EHR modernization program. She has also held senior policy development and operational roles including serving as Deputy for VA Health Policy and Services, Legislative Health Policy Fellow with U.S. Senator Richard Blumenthal, Committee Staff on U.S. Senate Committee on Veterans Affairs, and Chief of Imaging Services. Dr. Zenooz received her MD in the Medical Honors Program at the University of Florida. She completed radiology residency at Henry Ford Health System and an Abdominal Imaging fellowship at Massachusetts General Hospital. Dr. Zenooz is board certified in radiology and continues to practice medicine today.